Joey Weisenberg is the creative director of Hadar’s Rising Song Institute. He is a mandolinist, guitarist, singer, and percussionist who has performed and recorded in a wide variety of musical styles. Joey has worked as the Music Director at Brooklyn's oldest synagogue, the Kane Street Synagogue, and visits shuls and communities around the world as a musician-in-residence, in which he teaches his popular 'Spontaneous Jewish Choir" workshops. He is the author of Building Singing Communities (2011) and award-winning The Torah of Music (2017), both published by the Hadar Institute. His CDs of original music, "Joey's Nigunim Volumes I-VI" are available here, and his instructional videos "Table Top Rhythms for Jewish Singing" can be found online. "Joey’s effect on how we participate in Jewish singing will forever impact on our relationship to Judaism and each other. While he has taken from the legacies of Goldfarb, Friedman and Carlebach, not to mention the hundreds of lesser known creators of nigunim, ultimately he is putting his personal stamp on our ever changing tradition and helping us all achieve transformation through music." "Joey Weisenberg is one of the greatest of the young Jewish musicians and teachers coming onto the scene today. He and his music are full of skill, sincerity, and passion. As a student of mine, he quickly learned the modulating modes and improvisational constructions of Cantorial music, and most importantly, how that music brings out the character of prayer. In Building Singing Communities, he thoughtfully presents innovations for the shul that reflect his experiences and experiments in the field of Jewish music. Joey’s work will appeal to people from across the Jewish spectrum, and I eagerly await seeing what develops from these promising ideas. " Author The Hazzanic Thesaurus and master teacher of Cantorial Music for over 60 years. "To build and sustain Jewish community, Jews must find and lend their voices – every member of the mishpuchah must be given user-friendly tools to join in song, but simultaneously be motivated and empowered to find his or her own personal harmonies and twists. 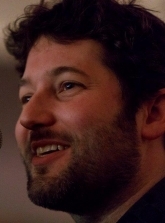 In Building Singing Communities, Joey Weisenberg, an accomplished and unusually versatile musician but also a shining teacher and rousing facilitator, shares his experience and expertise in orchestrating Jewish communities in search of depth, coherence, and transcendence. The practical lyrics of this how-to guide help generate the deeply inspiring spiritual music that both underlies and catalyzes the eternally singing collective of our people." "Joey's unique vision for building inclusive, participatory singing communities is a much needed contribution to modern prayer groups, regardless of age, size, or affiliation. Having sung - and lead - in his High Holiday services for the past 3 years, I can attest both to Joey's innovations and insights in davenning experiences, as well as to his incredible talent and breadth of musical knowledge. Above all, Joey strives to build relationships through shared musical experiences, and with the practical tips and colorful analogies in this book, he makes it easy for you to embark on your own journey as a leader of prayer and song." "Joey Weisenberg has his finger on the pulse of today's "independent minyanim." In Building Singing Communities he shows us how to re-imagine the two core elements of your shul: building community and making music that enhances that community. There is so much here from which we can all learn. I highly recommend this book to professionals and laity alike." "This book is more than an instruction manual: It is an expression of a philosophy—one in which musical quality truly matters, and to which we can all contribute. It is my hope that this book (like so many of Joey’s classes at Hadar and elsewhere) will inspire Jews of diverse and varied backgrounds to take singing and davening more seriously, and to recognize the power and beauty that they will unleash when they pool their musical energies—even as they direct their hearts towards their own unique and personal prayer." "Joey Weisenberg, a brilliant musician and teacher, is a joyous, dancing, infectious soul who inspires and makes others feel Gd's presence. In this wonderful book Joey guides us all, teaching us to lead, to follow, to join and connect with each other in prayer and in song, in order to reach Beyond." Did you know many of Joey Weisenberg's nigunim, performed with the Hadar Ensemble, are on YouTube? You can view his YouTube channel and learn more here.